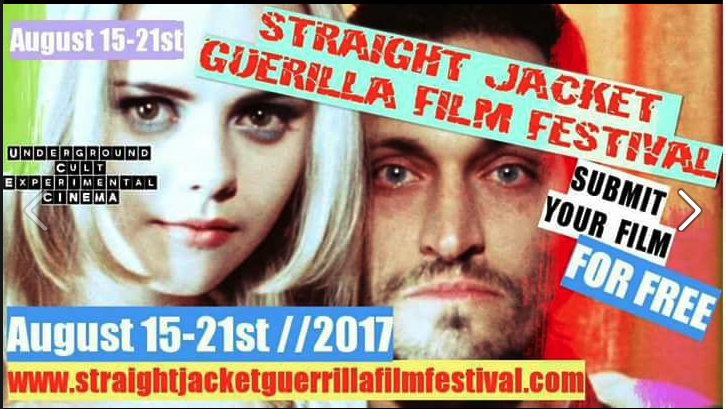 Straight-Jacket Guerrilla Film Festival 2017 is now open for Feature Film submissions and Music Videos. It's FREE to submit till March 9th. To submit your work for the 2017 Festival's consideration, simply email us a YouTube link to your Feature film (must be over 70min in length) or to your Music Video (must be for a gigging band).